The works to restore the Grade II* listed cast-iron conservatory at Wentworth Castle has been granted an award at the 2014 Institution of Structural Engineers North West Structural Awards! The award will be presented at a ceremony later in 2014. 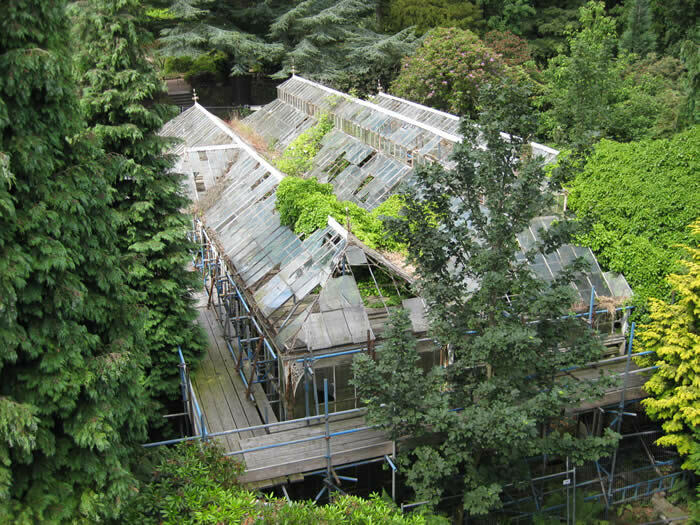 The project involved a detailed appraisal of the existing historic structure prior to a full renovation of the conservatory which included the complete dismantling and rebuilding of the structure and the traditional fabrication of replacement sections where necessary. In most cases, lateral thinking allowed the majority of the original components to be restored rather than replicated. The project also included the extension of the rear potting sheds in to a new visitor centre and the creation of a large external terrace area adjacent the conservatory. The architect for this prestigious £3.7M project was Buttress and the main contractor was William Anelay Ltd. Further information about the conservatory is available on the official website at www.wentworthcastle.org/the-victorian-conservatory/.